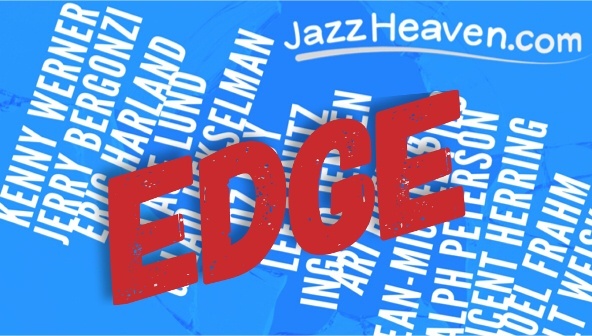 JazzHeaven EDGE 3-Day FREE Trial & Access to ALL our Videos! PDF/MP3s, Band Performances, Play-Alongs, Gear Walk-Throughs, ETC. STEP 2: choose your preferred version of our 3-Day FREE Trial below & get busy! Price "locked in" for LIFE! Just click on COURSES in the top menu and once on the page for a course, click the orange "TAKE THIS COURSE" button. But some of those videos are not for MY instrument...! LAGE LUND spilling the beans on "Chords = Lines"
Says Michael B. via unsolicited email: “That Oz course IS a treasure trove of ideas. JEAN-MICHEL PILC talking about "Managing Your Energy" or "Practicing Mentally"
or "What Technique is about (Transcending Your Instrument)"
GILAD HEKSELMAN sharing why Making a Mistake is actually a "good thing"
But that's a Lot of Money...! 12-month access for ONE of our 17 videos currently costs $29.95. AND you will get any FUTURE VIDEOS included as well. Including our Weekly LIVE Webinars! Meaning: as long as you stay an active EDGE member: you will always pay the 12 bucks per month. So, why are we doing this...? Because we want price *not* to be an obstacle for folks like you to check out the goods! And, yes..., if more people see the insane value offered here and get on board, this can also work for the artists & us. So, as said, the regular price for EDGE (for the moment) will be $15/month, paid yearly, so $180/year. By adding the 3-day FREE TRIAL we are basically making this the biggest NO-BRAINER east of the sun... Duh! But... we wanted to make sure that the "price of admission" would NOT be a reason not to do it, IF you are serious about it. A COMPLETE NO-BRAINER, if there ever was one! "180 per year for all of that is A F********G GREAT DEAL!" What was there exactly to lose for you again...?